If you could systematically identify, activate and retain customers, how would your marketing strategy change? Connected CRM is your data-driven blueprint for creating long-lasting, highly profitable customer relationships on a massive, measurable scale. "At a time when marketing strategies are becoming increasingly confusing and complex due to the rise of open data, social platforms, and disruptive technologies, The Rise of the Platform Marketer cuts through the noise." David S. Williams is Chairman and Chief Executive Officer of Merkle. He acquired Merkle in 1988 and became its 24th employee. Today, Merkle has more than 2,000 employees in locations in the United States, China and the United Kingdom. Under David's leadership, Merkle has sustained double digit annual growth over the last 25 years and was recognized as a market leader by Forrester Research. 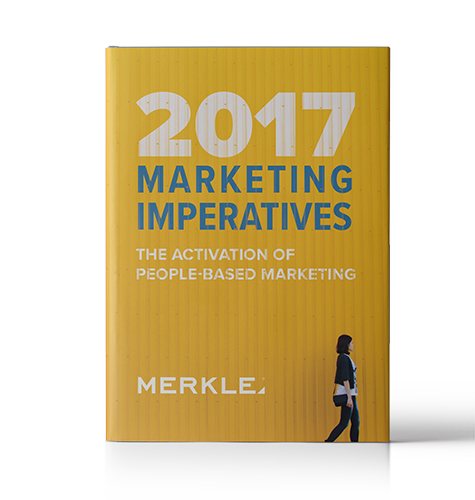 In 2013, Advertising Age ranked Merkle as the 22nd largest agency of any discipline worldwide and the 7th largest CRM/Direct agency in the U.S. In 2012, Merkle was named to the "Ten Agencies to Watch" list in Advertising Age's A-List Issue. David was recognized by Winning Workplaces and Fortune magazine as one of America's Best Bosses of 2006, and was the 2007 Maryland Ernst & Young Entrepreneur of the Year. From 2006 - 2011, David served on the Board of Directors of the Direct Marketing Association, where he also served on its Executive Committee. From 2010 - 2013, he also served as a member of the Board of Trustees at the Howard County General Hospital, a Member of Johns Hopkins Medicine. David is a frequent speaker at industry events and has written numerous articles and white papers about topics such as Customer Relationship Marketing, Database Marketing and Analytics, Digital Media and Marketing Technology. He began his career at Butcher & Singer, a Philadelphia-based investment bank, and holds a Bachelor of Science degree in business administration from Shippensburg University in Pennsylvania. The disruptive factors in business today are numerous, but the most important one for many organizations is the behavior of their customers. They quickly adopt new technologies, move between online and offline media and channels, and constantly reinvent the interaction paradigm before we finish building the prior one. Organizations must at once deal with an ever-changing landscape while activating their brands and engaging customers for the long haul. They utilize customer insights to deliver the brand experiences that their target customers desire, in hopes of creating competitive differentiation. Over the decades, marketing has evolved from the mid-century "age of the brand," when national broadcast media helped build iconic brands that controlled the consumer landscape; to the 1990's and early 2000's "age of channel" when direct response and burgeoning digital channels allowed for measurable targeting; to today's "age of the consumer," where consumers have taken control of how and when they engage with brands, and with each other. Today, there are three macro trends that are changing the marketing landscape: the digitization of media and channels; the proliferation of social media networks at scale; and the ability for consumers to access media anytime, anywhere. Marketers are responding with data-driven, digital customer strategies and a collective business model transformation. The CMO is now at a critical junction. It is essential that meticulous preparations be in place to take advantage of the opportunity. We must make the connection between customer centricity and business strategy, leveraging the intersection of big data, analytics, and technology to build customer experiences that result in long-lasting, profitable relationships. This approach is called Connected CRM (cCRM)™. Connected CRM is a systematic way to identify, serve and retain customers based upon their value better than competitors through orchestrated customer interactions that improve financial results create competitive advantage and drive shareholder value. These competencies comprise a clearly rationalized framework that is at the heart of cCRM. It is widely adopted at all levels of the organization and forms an ongoing process for complete enterprise implementation. Fundamentally, the approach is the same for every organization, with three seemingly simple steps: developing the strategy; building the infrastructure; and effecting the operational changes necessary to implement. But it's anything but simple. There are so many aspects to consider, not only in terms of media mix, but brand positioning, product strategy, channel planning, customer dynamics, sales and service experiences, and so on. As soon as we start looking at CRM as a "customer" conversation as opposed to a "media or campaign" conversation, we have to consider all these factors that influence the customer and the value associated with them. We see the framework in five fundamental components; three customer-specific functions and two types of enablers. The framework reflects the requirements for making cCRM a reality. It begins with enterprise segmentation that supports the customer strategy and forms the basis for planning based on customer value metrics. An integrated targeting and customization competency supports media and channel planning for personalized experience delivery. And a strong financial management competency utilizes measurement and attribution techniques to enable media and channel budget application. The infrastructure that enables an enterprise cCRM process encompasses the data, systems, tools and technologies required for ongoing management and execution. The organizational alignment to the approach is equally important. It requires changes to leadership and management decision rights; changes to workgroups and how they collaborate; and empowered top talent with the right incentives. 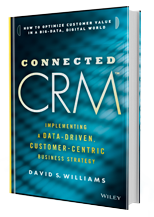 Read the book by Merkle CEO David Williams on how to build a data-driven, customer-centric business strategy.